Do you have missing teeth? Are your dentures uncomfortable or ill‐fitting? Dental implants are a significant innovation in dentistry. When you have missing teeth, dental implants not only preserve your jawbone, they help prevent your remaining teeth from shifting and drifting. Missing teeth can have an effect on the way you feel about yourself. With dental implants you can eat, speak and smile again with confidence. A dental implant is actually a replacement for the roots of a tooth. Like tooth roots, dental implants are secured in the jawbone and are not visible once surgically placed. The visible attachment anchors a crown, fixed bridge, partial or denture offering stable support that feels and fits more naturally than traditional dentures or partials. Dental implants are so natural‐looking and feeling, you may forget you ever lost a tooth. In most cases with diligent patient maintenance, implants can last a lifetime. Long‐term studies continue to show improving success rates for dental implants. 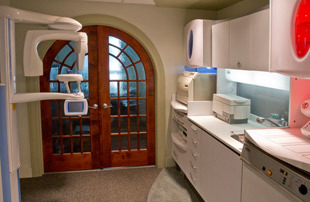 Kevin Sorge, DDS, is a highly trained dental implant dentist. If you seek implant dentistry in the Fayetteville or Manlius area, consider making an appointment with Dr. Sorge. Call today to schedule a consultation appointment to see if you are a candidate for dental implants with Kevin Sorge, DDS.